Johnell Brooks leads an interdisciplinary research team that strives to enable aging drivers to maintain their independence for as long as safely possible. 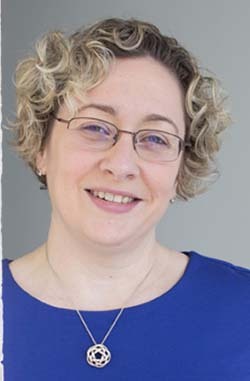 She holds an appointment as a Clinical Research Faculty in the Department of Medicine at the Greenville Hospital System University Medical Center where her labs are housed. She uses simulators and instrumented vehicles to develop rehabilitation tools for clinical settings. Dr. Brooks was recently appointed as an Institute for Advancement of Health Care (IAHC) Scholar. Clemson University, Roger C. Peace Rehabilitation Hospital of the Greenville Hospital System University Medical Center and DriveSafety, Inc. have partnered to address the needs of South Carolina's driving population by developing objective training and assessment programs in addition to developing and evaluating new products and services. This unique collaboration houses university laboratories within a major healthcare system for cutting-edge multidisciplinary research with strong industry relationships. The partnership strives to be the recognized national leader, enabling the population to drive as long as safely possible through research and innovation. In addition to multiple driving simulators, a"home lab", located at Roger C. Peace Rehabilitation Hospital, allows for the objective assessment of functioning through the completion of tasks from everyday living such as carrying groceries, doing laundry, and walking up stairs. This provides for a comprehensive understanding of a driver's capabilities and limitations outside of the vehicle. To further gather objective performance data, engineers at CU-ICAR's Campbell Graduate Engineering Center have instrumented a 2010 Toyota Avalon and a 2011 Chevrolet Malibu with sensors for on-road assessment. For volunteer research opportunities, please call (864) 283-7272.